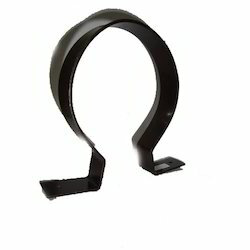 Exporter of a wide range of products which include pipe collar clamp, cast iron collar clamp and unistrut channel clamp. We are the prominent manufacturer, exporter, supplier and wholesaler Pipe Collar Clamp. These coller clamps are manufactured from high grade quality material. Our client can avail these collar clamps at very reasonable price in market. Normal Pipe size Normal Pipe size Hole Size mm Width/ thickness (mm) Std. Pck. We are offering wide range of qualitative Cast Iron Collar Clamp, these are available at very reasonable price in market. We offered clamp is carefully developed at our advanced premises using latest machines, equipment and tools. Furthermore, each and every clamp is examined on different parameters to ensure its quality and strength. We are engaged in offering a qualitative range of Unistrut Channel Clamp which is designed in order to fulfill the requirement of metal products manufacturing machine manufacturing industries throughout the country. We welcome bulk orders of our clients and offer them as per the specifications laid down by them. 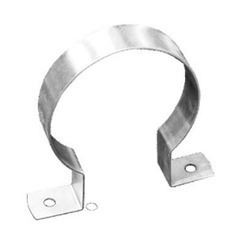 Looking for Collar Clamp ?